social wellness – Teach. Empower. Transform. 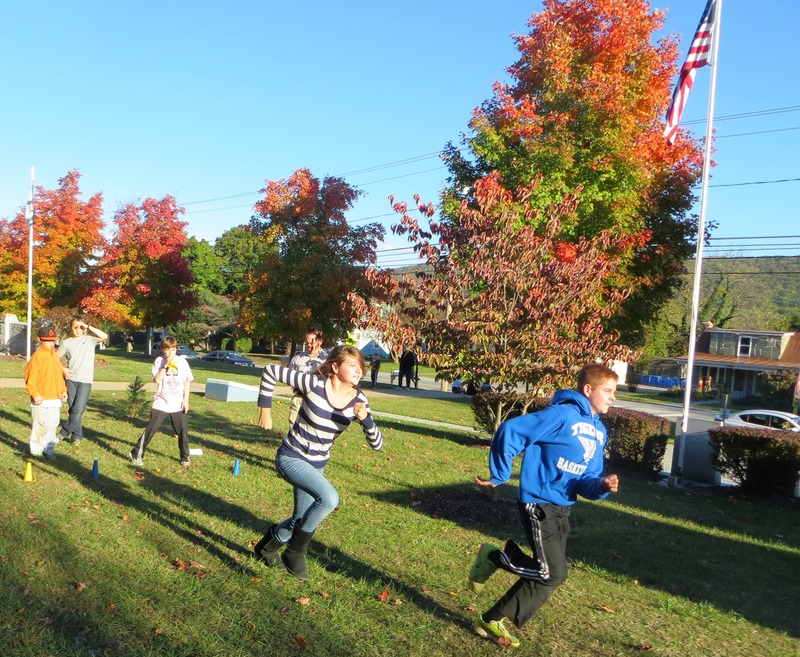 Leaders In Action (LIA) students participate on the agility section of a physical fitness test. The Leaders In Action (LIA) students from West Virginia recently completed their first lesson from the curriculum on the seven dimensions of health. While involved in this unit, focused on physical wellness, the students participated in many interactive and educational activities to reinforce the importance of maintaining a healthy lifestyle. 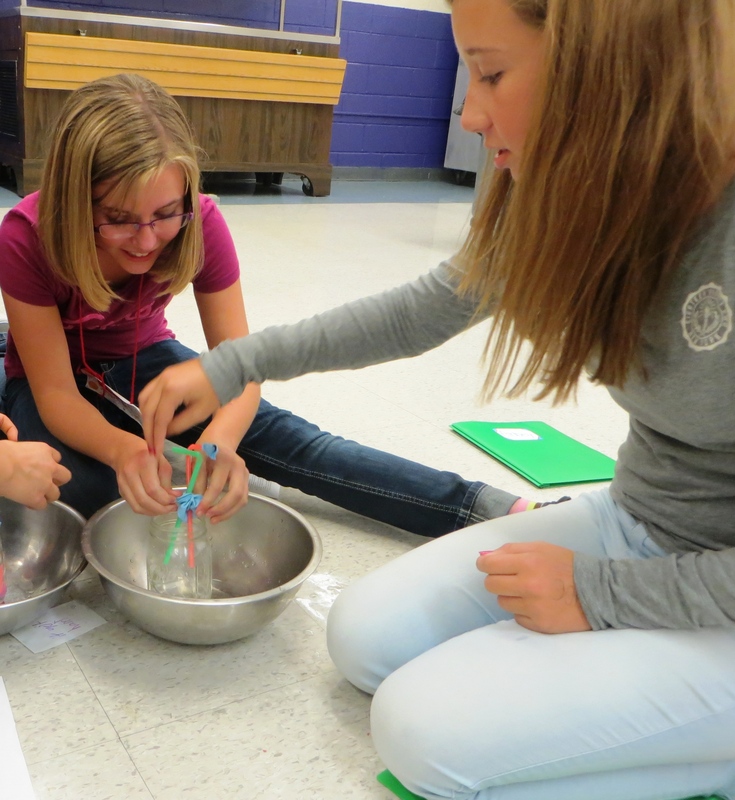 Students work together to create a heart pump with straws, water, and a jar. Students learned about the risks of cardiovascular disease by crafting a heart pump with straws, water, and a jar. Students were also able to witness the effects that poor health has on the heart by developing clogged arteries using water, straws, and Crisco oil. During a meeting in October, we focused on testing our taste buds, learning about carbohydrates and proteins, trying healthy food options, experimenting with portion sizes, and examining a human body energy simulation. To get the students moving, during every meeting we played an active game such as ultimate frisbee and tag. This fall we had two guest speakers: Dr. Mark Cucuzella and Dr. Josh Miller. Dr. Mark Cucuzzella, a local family doctor, marathon runner and owner of a minimalist footwear store, provided our students with a running clinic and lesson on simple nutrition prior to the Freedom’s Run. Our second guest speaker, a local physical therapist, Dr. Josh Miller, administered one of the three rounds of physical fitness tests based on five activities. Students’ results were documented and will be used to compare their improvement in January and May. Another addition to LIA this year has been our monthly weekend programs. Students visited the Outdoor Education Center (OEC) in October to focus on the basics of gardening. While learning about our new 4-season greenhouse and grow lab, students planted vegetables and made their own biodegradable starter pots. 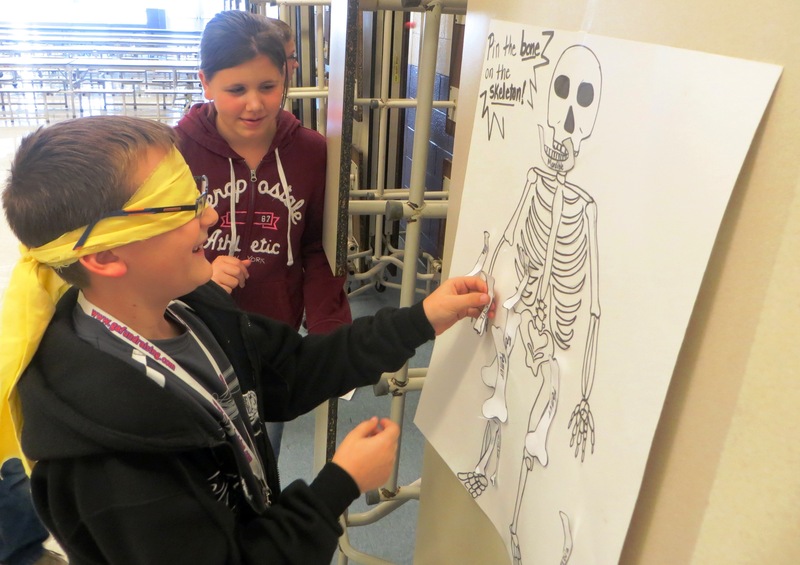 Students play “Pin the Bone on the Body” while learning about human anatomy. To celebrate the fall season, students celebrated with a “Leaders In Action Fall Party” based on anatomy. Students learned about the human body by playing “Simon Says- Muscle Edition” and “Pin the Bone on the Body.” Students also learned about organs and other body parts by blindly guessing which food represented the correct body part. Our next unit will be social wellness. As the year progresses, students will continue to participate in activities to learn more about the seven dimensions of health. 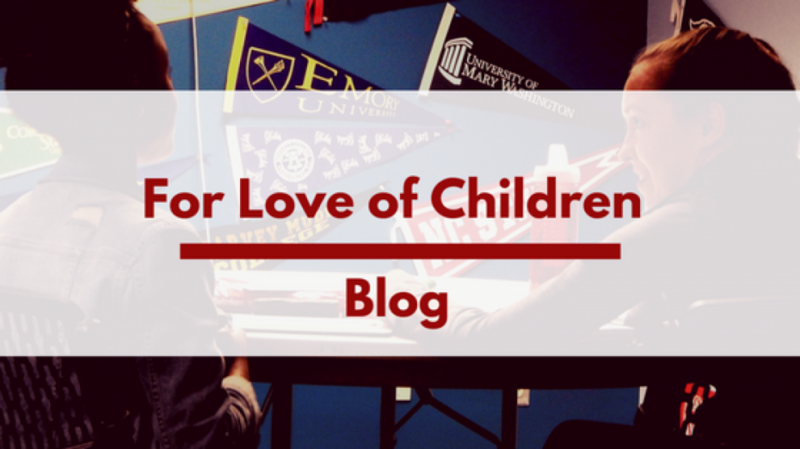 (Sarah Nowicki is an AmeriCorps Vista at FLOC’s Outdoor Education Center).